“Championship Thursday” returns to Impact Wrestling on Spike TV this Thursday with an added wrinkle; there is no defending champion. Negotiations between TNA’s current TV Champion Devon and TNA have been ongoing over the last month and have reached an impasse. As of today, The TNA TV Championship last held by Devon is vacated. TNA hopes that Devon returns to the active roster in the future. 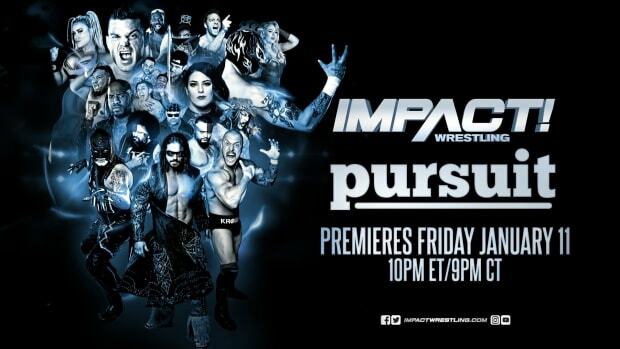 A new TV champion will be crowned LIVE on Impact! Usually, in the “Championship Thursday” format, four challengers meet with IMPACT WRESTLING GM Hulk Hogan and plead their case as to why they deserve the shot at the champion. This month, one of the four men is guaranteed to be the new TV Champion! The challengers selected to compete in this “Championship Thursday” are Samoa Joe, Garett Bischoff, Magnus and Mr. Anderson. Hulk will hear these men’s arguments why they should be the one to get the title shot and then Hogan will make the hard decision of which two will face off. Tune into Spike TV at 8pt/7ct this Thursday night to see a new champion crowned.